Spend any decent amount of time with it, and the process of osmosis will start to take hold. Okay, so you may not become fluent from Spanish radio alone. But you’ll pick up words, phrases and even songs, all while immersing your ears in the sounds and sentence structures of real-life Spanish. One of the best options for accessing Spanish radio is through online resources. Spanish radio stations can be streamed from Spanish speaking countries all around the world, and most are absolutely free to listen to. So why wouldn’t you want to get in the habit of streaming Spanish radio? Not all radio stations are created equal and not all will appeal to your tastes. If you’re going to strike up a regular listening habit, you’ll want something that isn’t going to make you want to chuck your laptop out the window. Some stations focus on talk, some play chart hits and still others have a local flavor to their music (Reggaeton, anyone?). Do a bit of experimenting to find the stations that work for you. Tip: Since there are so many stations online, take a few notes when you listen to one. For example, do you like the music? Is there enough talk? What time of day did you listen? That way, you can easily compare. Learning by repetition requires repetition! Try to find a regular slot in your day that can become radio time, whether it’s when you’re cooking dinner, on your drive to work, while you’re studying (double challenge!) or in the background at work (colleagues permitting). Tip: Set a calendar reminder to prompt you to start streaming. After a while, it’ll become habit. Just as you’ll find variety across different stations, you’ll also find the tone changes as radio programs progress through the day. Breakfast shows tend to be upbeat, while you might find more humor and comedy after the kids have gone to bed. Certain days are sports days in some countries. When you’re making notes of which stations you like, also pay attention to which programs you like. Some of them can even be listened to after they’ve been broadcast live. So the concept of osmosis is a nice idea, but to really boost your learning, you’ll want to get a bit more interactive. Here’s a good newbie exercise: Take a blank page. On the left, write down any words you think you hear. Spell them phonetically if you have to. Once you’ve got a full page, pause the show (many online Spanish radio stations will let you do this). Then grab your dictionary or head over to Google Translate to check your words. Now, go back and re-listen. Did you hear right? Can you follow the conversation better? You can do the same with a song you like. You can use a simple Google search to find plenty of full English translations for popular Spanish songs. Sometimes there will be ads, or even just parts of a show available for you to play however many times you like. The ability to pause, rewind and replay is a very powerful function when you’re trying to learn new words. Do this over and over until you fully understand a small paragraph. It’s a real confidence booster to be able to listen to an entire chunk of a radio program and follow every word. So, what are the best websites for finding Spanish radio online? Throw the words “Spanish radio online” into Google’s search bar and you’ll be confronted with over 100 million search results (in just 0.46 seconds). As impressive as that is, it’s enough to make even the most determined student hesitate (for longer than 0.46 seconds) about where to click next. Don’t worry, here are a few tried-and-true sites to get you started. 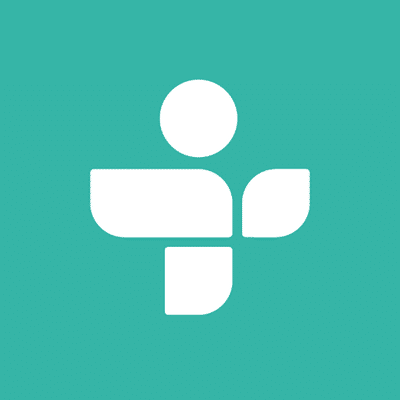 TuneIn is one of the most recognized sites for streaming Spanish radio online, and it’s got a lot of functionality. Although there’s a sign-in/sign-up prompt on the home page, you can skip right past that and go straight to the locations. Whether you’re planning a trip to Ecuador or want to know what everyone’s listening to in Barcelona, you can quickly navigate to the country that grabs your interest. The Listenlive interface may not be as slick as TuneIn, but it still does a great job of bringing you a decent choice of stations. 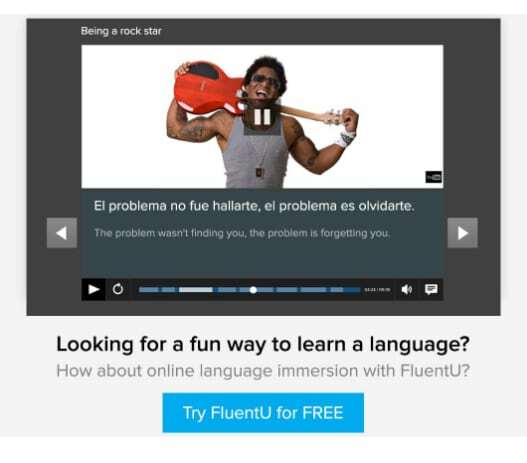 Unlike other streaming websites, this one covers Europe only, making it ideal if you’re focusing on learning Spanish to be used in Spain rather than Latin America (you won’t inadvertently pick up any Latin colloquialisms). The website gives a full list of the stations available as well as the location of each station. There are some highly localized options, which is great if you want to experience Spanish radio outside of the big cities. Even better, each station is given a cursory categorization according to the kind of station you’ll be listening to (Top 40, Salsa, R&B, talk, sports, etc.). You’ll probably want to skip the tourist radio, though. Those stations are usually for expats and broadcast in English. 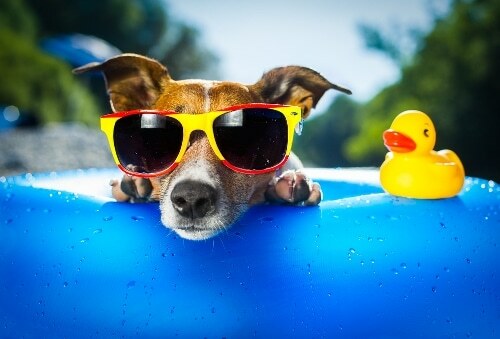 Similar in style and format to Listenlive, Surfmusic is very easy to navigate. Within seconds, you can locate a station according to the country or city you want to listen to. Unlike Listenlive, it includes an extensive Latin American collection, including Spanish radio stations in South America, Central America and the Caribbean. But that’s not where Surfmusic’s offering ends. This site has an extensive list of music genres, which means you can quickly cut to stations playing Latino, Merengue or Rumba. It also includes a decent list of links to music TV stations you can watch online…you know, just in case you need to see the dance moves in order to understand the Spanish! 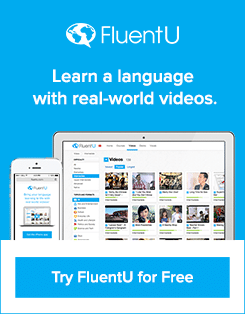 If you enjoy learning with videos, FluentU takes real-world videos—like music videos, movie trailers, news and inspiring talks—and turns them into language learning experiences. Streema is another good-looking interface that offers quick navigation through station offerings. As expected, you can browse by location (covering both European Spanish and Latin American Spanish), and you can also check out stations according to music styles. 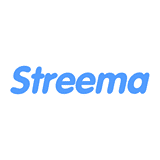 What sets Streema apart is its views and reviews section, where you can check out the number of people who have listened to a particular station and what they thought of it. Not only does this feature save a lot of time and effort when you’re searching among hundreds of streaming options, you get to practice your reading skills, too: Most of the reviews for Spanish radio are written in Spanish. If you’re looking for a service that has the kind of functionality you’ll find on Spotify, this is the streaming site for you. 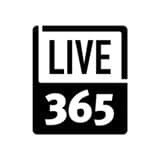 Rather than wading through station after station to find one you like, just listen to a couple and Live365 will start to show you recommendations based on your previous listening history. There isn’t an option to search by country, so you’ll have to rely on the search function. If you don’t want to waste time this way, find a few country-based services using the other streaming sites and let the “recommended” function on Live365 do its magic from there. There is a paid VIP option available on this site, but think twice before you buy! This option removes the ads, one of the more useful online features when trying to learn a language. Think you’ve cycled through all of the most popular Latin American radio stations online? You might be ready for the challenge of Zona Latina! There’s very little detail about each station, the website interface is very basic and the organization of the stations is simple: First by country, then by alphabetical order. However, this website appears to list every (or at least nearly every) Latin American station on the planet (and probably a few besides). So if you’re looking for something fresh or different, definitely check out Zona Latina. But which stations should I listen to? Even with a list of great streaming websites, it can be difficult to get off the starting blocks when it comes to choosing an actual station to listen to. Don’t worry, here are a few options to get you started. Cadena SER: One of the most popular stations in Spain, Cadena SER is based in Seville and covers Spanish music, culture, talk and sports. Onda Cero: For chat instead of music, Onda Cero is a national station (with regional options) covering talk, local news and sports. COPE: Another popular Spanish station (broadcasting from Madrid), expect a lot of talk with a focus on sports. Radio Zero (Chile): This station is broadcast from Santiago. Expect a mix of music and general chat from Radio Zero, but also a unique focus on indie, alternative and electronic music. Superestación (Colombia): Top 40, pop and rock abound on this station in Colombia’s capital, Bogotá. The chat is generally slow and easier to follow than other stations, so it’s great for beginners! Los 40 Principales (Panama): Panama City’s Los 40 Principales offers Pop Latino and Reggaeton alongside Top 40 and pop. This station is great for getting hooked on popular Latino music. Neon 89.4 (Dominican Republic): Here’s a fresh, tropical change from mainland music. Neon 89.4 might actually be too funky for background music. But hey, when you’re learning, that’s a good thing. RNE Radio 5: Part of Spain’s national public broadcasting station, RNE Radio 5 plays regular news bulletins broken up by short features covering a range of current topics. RNE Radio Nacional: Broadcasting a mix of current affairs, news and sports, Spain’s beloved national radio station has been around since the 1930s but still remains relevant today. Radio Sudamericana: Playing out from Argentina, Radio Sudamericana offers some music but hooks you up with a decent amount of talk, too. Radio Marca Barcelona: Sports talk and news is what you’ll get on Radio Marca Barcelona. Soccer nuts can also expect a heavy focus on European football, including commentary of live matches in Spain. ESPN Deportes: Although it’s broadcast from Connecticut (of all places! ), this sports talk station is all in Spanish. It’s easy to dismiss radio as a legit way to learn Spanish. You might not be able to grasp how background noise mixed with a bit of focused listening could really help you along. With a few favorite stations providing you regular Spanish songs and talk, it won’t be long before you find yourself happily singing and chatting along with the natives!